Having both 18k white and 18k yellow gold married in this ring makes it sure to go with any outfit your special someone might choose. A blend of both worlds makes this ring both modern and classic. 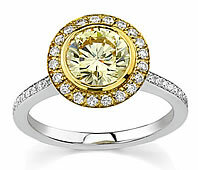 It is pictured here with a 1 carat round fancy yellow diamond (sold separately - please call for details). 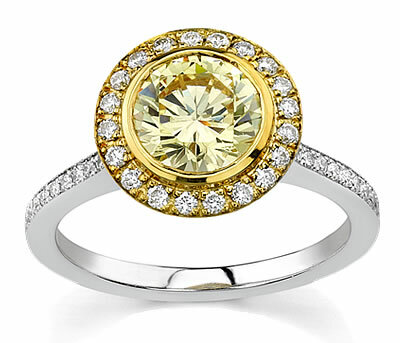 This ring also features the twin bezel set diamonds under the main diamond.